Do you already have a routine for coming up with classroom rules that you LOVE? I know I did. I used the Rights/Responsibilities in my classroom and had my students create our classroom rules with me. I felt like this gave them more ownership in the rules. However, after reading about Whole Brain Teaching last year, I decided to dive in as much as possible, which meant trying out their rules in my classroom as well! Whole Brain Teaching has a set of 5 universal rules. I loved them. Hook, line, and sinker! They had me from the start. Really with these 5 rules, you don't need anything else. These rules cover the bases! The great thing about them is that if your school uses a school-wide system that requires certain rules, they will most likely fall into these categories! What I loved most about the rules were the hand gestures that went with them. You can read a description of the gestures and see WBT's visual cues of these rules at their website HERE. As students were taught the rules, they were taught the gestures and those really seemed to make the rules "stick." Think about it, if the rules are just posted on the wall somewhere, the students don't really think about them. But, by reviewing them daily WITH hand gestures, the rules are now running through their minds! 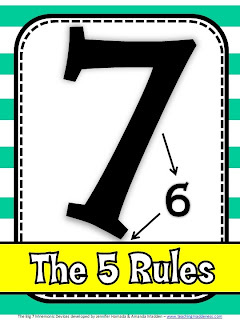 We would practice the rules DAILY for the first month of school, with a different child leading us in the rules. Throughout the day, if students are not following a rule, the teacher can just say "Rule Two" and the students should state the rule and complete the hand gesture as a reminder. There is no need to call out the students who are breaking the rule, just give the whole class a reminder. It's important to note that Rule #5 is KEEP my dear teacher happy - not "make" my dear teacher happy. At the WBT conference, they emphasized that it is not the students' job to make us happy! However, they should KEEP us happy and they can do that by following the first four rules! I tell my kiddos that I am happy when everyone is learning. So, if someone is doing something that stops them or someone else from learning then that does not keep me happy! Remember also that we talked about The Scoreboard yesterday and that if students do not "win" on the scoreboard then they practice the rules for 2-minutes at the end of the day. I must say that I really didn't have any big behavior problems last year. I definitely had some "potential" there, but I really think WBT helped with much of that. Soooo many of my parents who had children with ADD loved WBT and the fact that students had to teach other students and use hand gestures during lessons. I even had some parents to ask if it could be noted on their child's 504 that this particular type of teaching made a huge impact on their child's progress so that next year's teacher could consider using it! That was huge! I displayed the rules in my classroom in frames right above my behavior clip chart. I will keep my rules their this coming year, although I'm going to try to trade out my clip chart for the WBT "Super Improver Wall" so I'll let you know how that goes! Here's a look at my rules. I have a monster-themed classroom so I created these monster-themed subway art rules. Just click the image below if you'd like to download them to use in your classroom. If you don't want Monster-Themed Rules in your classroom, I understand! 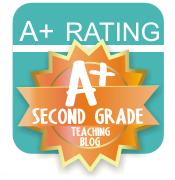 Stephanie over at Third Grade Thoughts has some cute WBT rules that you can download - see this post. I hope this helps if you're looking to implement Whole Brain Teaching next year - definitely give "The Big 7" a try. 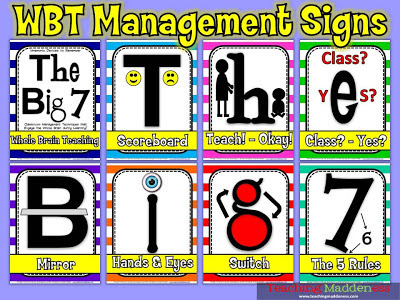 It's very easy to implement all of these classroom management strategies your first year! Remember, if you're interest in sharing "The Big 7" with other teachers at your school, you can pick up the signs I'll be using in my workshops to help them remember all 7 of these strategies using mnemonic devices. Just click below! 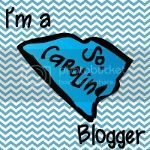 Also, don't forget to follow me at Bloglovin' and then enter my Bloglovin' Giveaway!! See ya tomorrow for our FINAL freebie and it is a MEGA MATH freebie, so don't miss out! 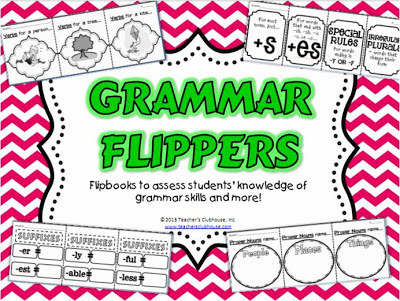 If you didn't pick up our Grammar Flippers yet, today is your last day....click below! 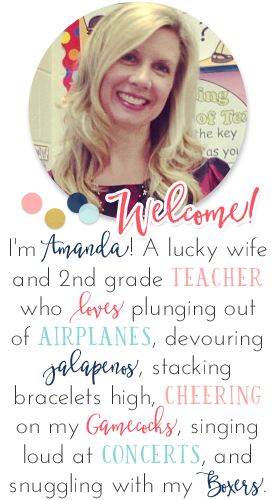 You have inspired me to try WBT this coming school year. I have enjoyed your posts! I am so glad I found this post. I am going to implement WBT and Daily 5 this year and am constantly looking for info on both. I have heard nothing but wave reviews for WBT...your post adds to my need to want to learn more about WBT. Thanks! Thanks for sharing this!! I think I might try and implement WBT this year! I used WBT this past year and am implementing much more this year. I LOVE the Super Improvers Board. I used in conjunction with goal setting. I had super quiet kids set goals to speak more in class. I had students set math fact goals. Whatever. They LOVED moving up the Super Improvers Board. Mine was Ocean inspired. You started as a plankton, moved up to a shrimp, mollusk, all the way up to a Blue Whale! Thanks for sharing your photos of the FIve Rules. OH NO! Another summer project!!! !